Visit the Four Seasons Hotel, Kyoto and you will see some of the most beautiful woven carpets and luxurious hand tufted rugs from Brintons. Brintons is proud to have been specified by globally acclaimed design firm Hirsch Bedner and Associates, Singapore, to supply 3600 sqm of woven Axminster carpets and 1400 sqm hand tufted rugs to this spectacular hotel. 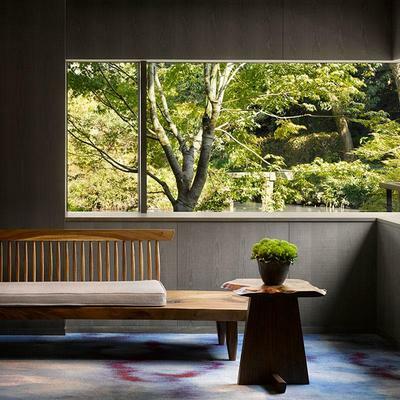 Graceful in its simplicity, the design narrative for the hotel is a beautiful fusion of Kyoto’s rich artisanal heritage, embracing modernist design principles and an understated Japanese aesthetic. 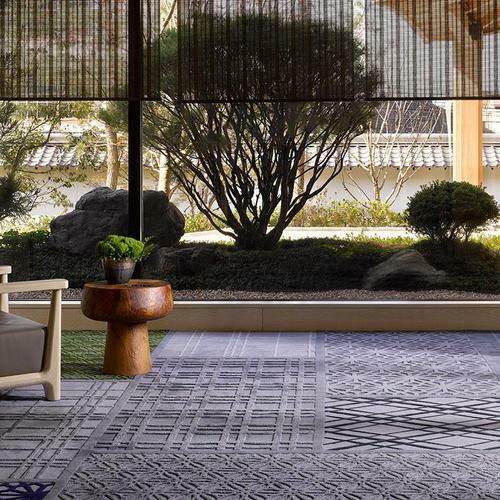 With an 800 year old Ikeniwa (pond garden) at the hotel’s centre, the Four Seasons Kyoto’s interiors have been carefully planned to reflect the natural beauty and tranquility of the hotel’s incredible gardens. The hotel is meant to be a haven for contemplation – we designed every facet of it to open up to views of Ikeniwa, allowing the design to serve as a window to the pond, never detracting from it. This is true of the designs for the flooring. Brintons designers worked together with Ng and the HBA team to create a collection of carpets for the lobby and prefunction areas, ballroom, meeting rooms, executive suites, presidential suites and condos. The carpet patterning throughout the hotel is elegant. A stately violet hue is prominent throughout. The high definition carpets for the ballroom, prefunction areas and executive suites showcase beautifully drawn peony inspired floral patterns – some which are truly magnificent in scale. 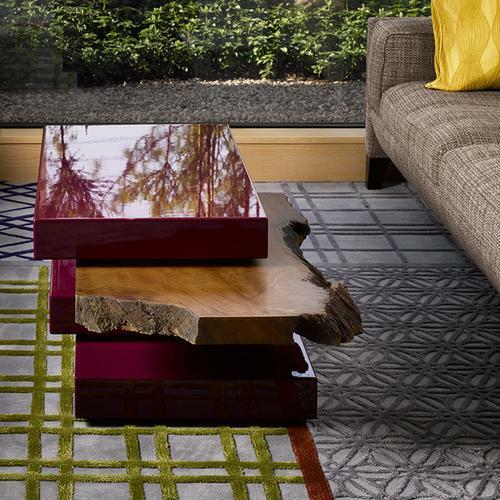 Carpets in the library lounge incorporate lattice patterning, a modern interpretation of traditional tatami. The final result is dramatic and emotive – an inspiring blend of contemporary luxury and Kyoto tradition.